At least, I hope so in spite of being harsh critic of my motherland, Croatia. It puts me in an unpleasant position in any discussion on Croatia, not only with Croats (who claim that I’m westernized to the limit of betraying my roots) but also all others (who generally expect one to be a patriot above all). Why? For one thing, I’m a seasoned emigrant, some thirty years of separation, and my world view has definitely changed - so who am I to lecture Croatians? Secondly, on which grounds do I expect Croatia to be different? And more importantly, I’m deeply disappointed with the basic nature of the Croatian people, from early adult life in the socialistic Croatia (the trigger of my emigration) to current mafioso-capitalistic Croatia (the source of my patriotic pessimism). 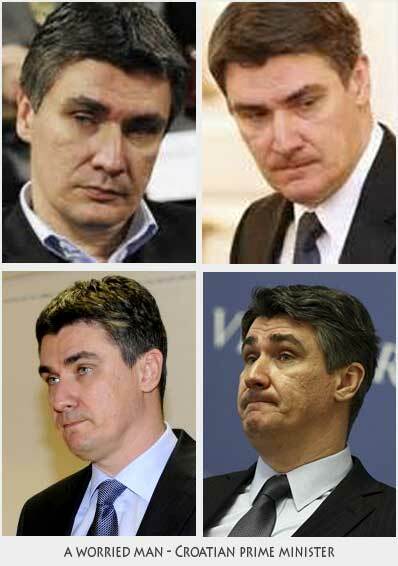 Low working ethics, low professional standards, disrespect to any social order, bribery and corruption in politics, national institutions and economy, gray economy, privatization and abuse of national wealth, they are not only Croatian specialties, true, but Croats excel in them. Then, because 90.4% of population are Croats and 86.3% are Catholics, it’s obvious that the main problem with Croatia is being populated with Croats of Catholic morality. Historically, Croats are very good at inventing glorious past for their ancestors and timeless everyday blame on others (Turks, Hungarians, Serbs, ... EU, ...) for the own failures. those are comparisons of some two hundred countries on all conti- nents while Croatia claims to be at the doorstep of Western Europe. There is even a series of books, luxury books, titled "Croatia and Europe" by which one may conclude that Europe is actually still tipping behind Croatia. For those of you who read Croatian, I’ve downloaded from the daily paper Slobodna Dalmacija two interviews with the Croatian economist and sociologist Slavko Kulić: first labeling Croatia as disintegrating society and second rejecting Croatia as cultural and civilized subject. Prof. Kulić’s pessimism beats me every day, including Sunday.